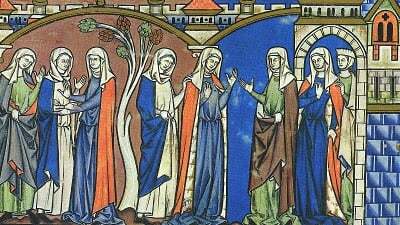 Data on vital events of medieval women are extremely scarce. We use a dataset based on a necrology of nuns in late-medieval Holland to arrive at estimates for the development of life expectancy and mortality. The first study of its kind for the Low Countries, it shows striking differences in the development of life expectancy and mortality between Holland and England. In the fifteenth century, life expectancy at age 25 in Holland was much higher than in England. Also, mortality among our population of nuns was much lower than among monks in England, and mortality crises were less frequent. Our result support claims by Van Bavel and Van Zanden (2003) about the relatively early recovery of the population of Holland, as well as the mild impact of infectious diseases. The comparison with England suggests that this country’s crisis of the late Middle Ages was most likely the result of a high-mortality demographic regime. The fourteenth century plague that killed millions of people has become a popular explanatory variable among economic historians. They use this external shock to explain why some economies experienced stagnation and perhaps even decline, while others managed to flourish. England is perhaps the best example of an initially prominent economy suffering from plague and struggling throughout the remainder of the middle ages. Some of its continental neighbours, Flanders and Holland, are regarded as regions that had to cope with fewer deaths, and could therefore grow during the crisis of the late Middle Ages. The emergence of Antwerp, and later Amsterdam, as economic centers has thus been linked to the absence of a late-medieval crisis in much of the Low Countries. The same goes for the golden age of the province of Holland and the Dutch Republic, in the seventeenth century.